Driving home Thursday evening I stopped at the wetland area (Baldwin Lake) in Berea and unpacked my camera. I'd seen a Great Blue Heron there but couldn't get close enough to photograph the bird. While standing on the bank of the shallow stream, however, I watched a lone dragonfly flitting about. The insect would occasionally stop on a rock near me. I would draw near, camera at the ready, but the shy dragonfly would wing off to another location eluding most of my photo efforts. Looking around I realized there were no other dragonflies within my sight, no others to join this one in their aerial mating dance. It seemed to be the summer's last dragonfly. 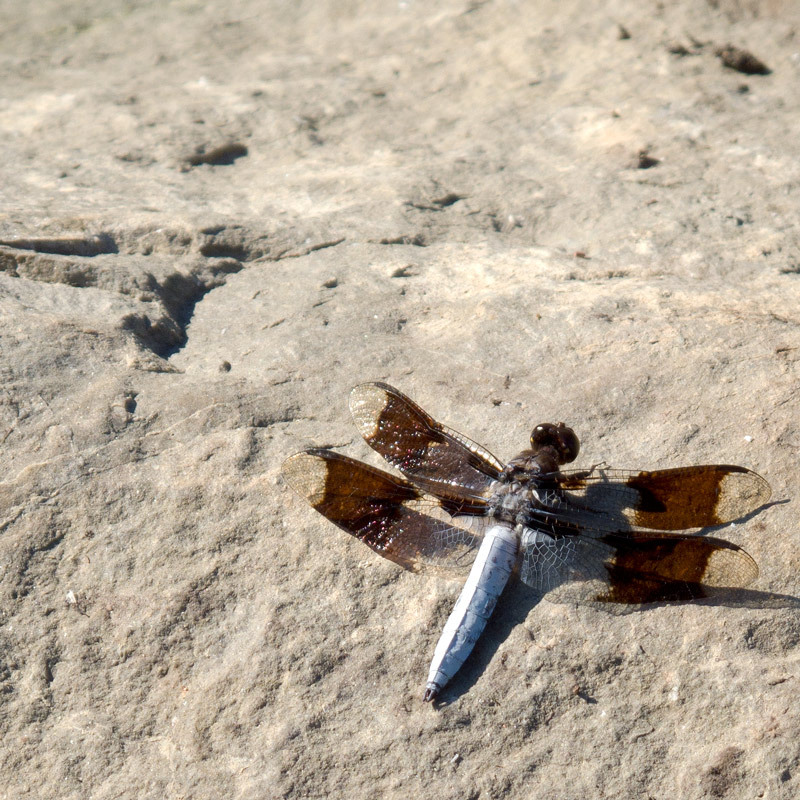 Oh dragonfly down; dragonfly bites the dust…… soon enough there will be photos of icicles and snow.